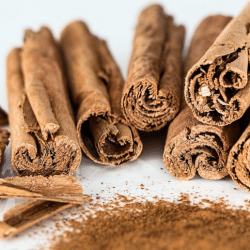 Cinnamon, or botanically speaking Cinnamomum verum is often referred to as “true cinnamon,” though much confusion exists as Cassia is often simply sold as cinnamon in the United States. So does your gin feature cinnamon or cassia? Although many say that the flavor of true cinnamon is more gentle, I often find the results of both to be readily recognizable as cinnamon.